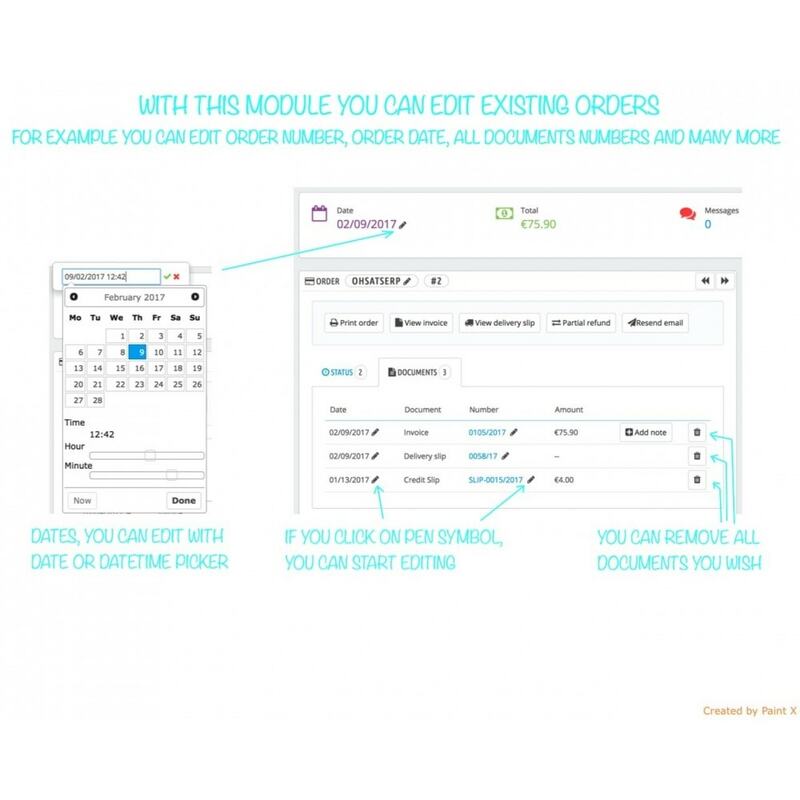 If you need advanced order management tool, this module allow you to edit existing, already placed orders. 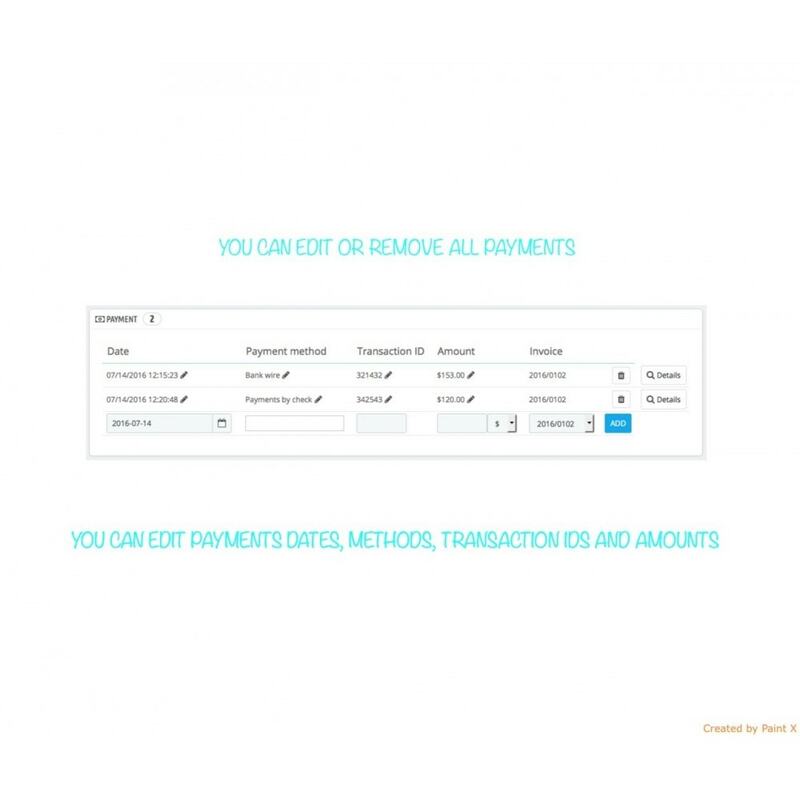 You can easily edit dates, references, prices or remove documents, order statuses and rows in payments table in existing orders and many more. 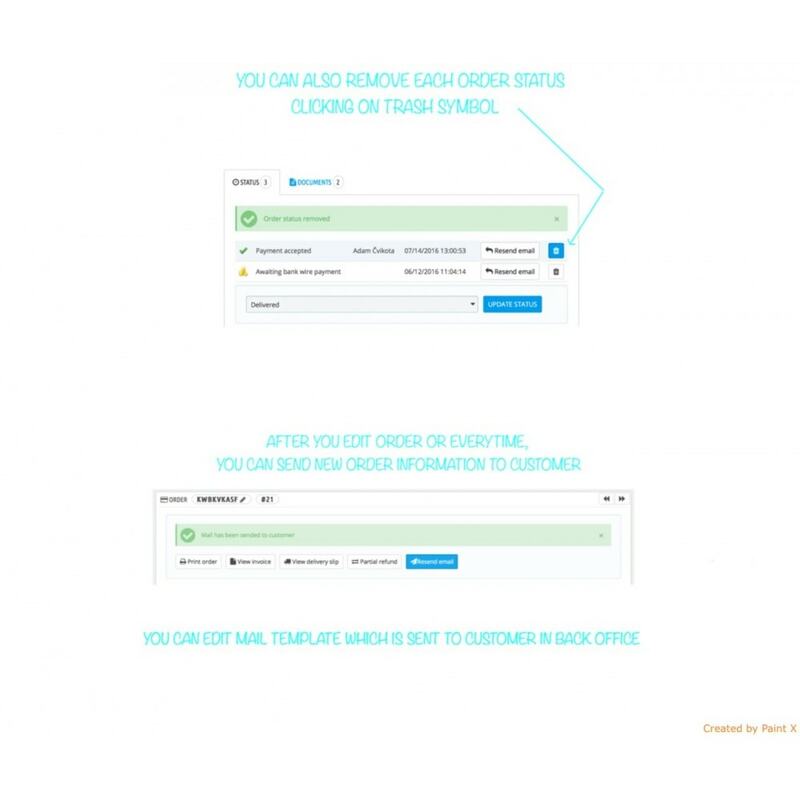 You can also write you own internal order notes and even after editing selected order, you can send mail notification to customer about this changes, which will contain all new order informations. 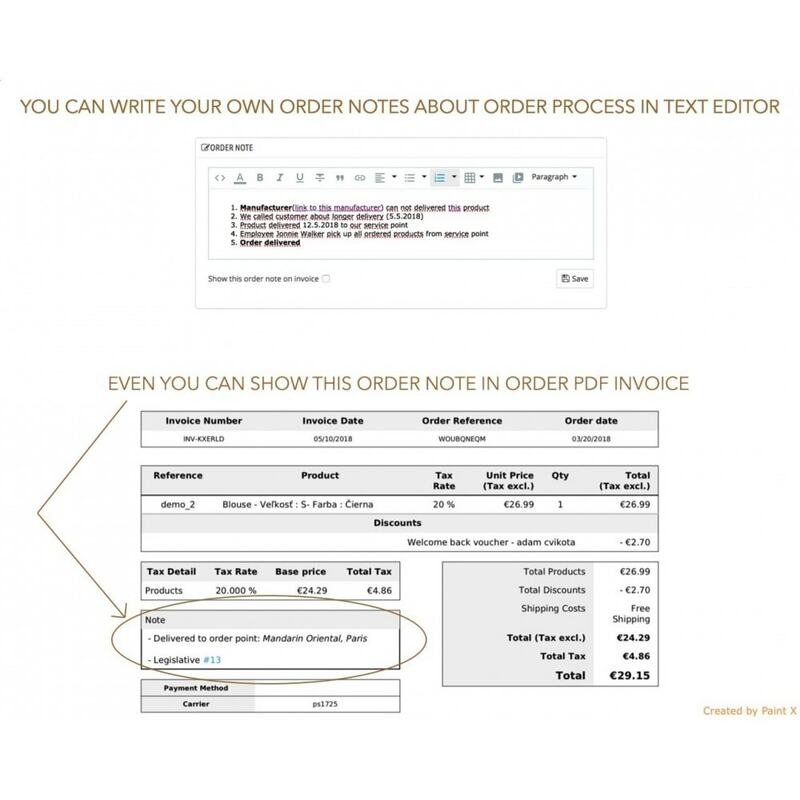 With this module, you can also set automatically generating numbers for orders and other documents for meaningful references. You can set rules for generating this numbers based on many type of dynamically generated values like order ID, random number, actual year, actual month or actual day and many more. 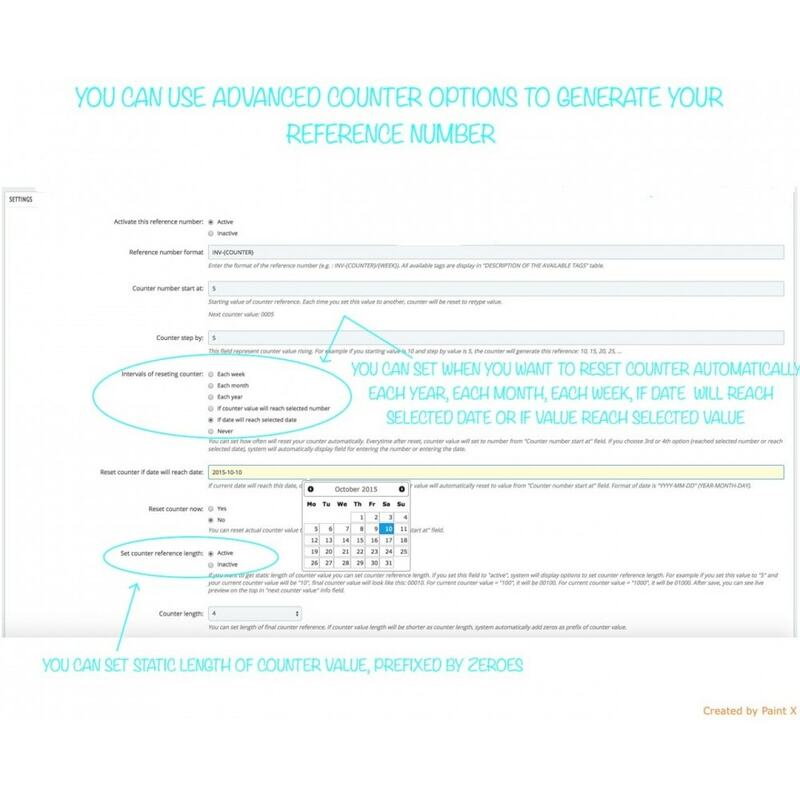 For generating reference, you can use also “counter” option to generate step values like 1,2,3,.. with rules you wish and you can reset this “counter” everytime you want, or automatically each week, month or year. 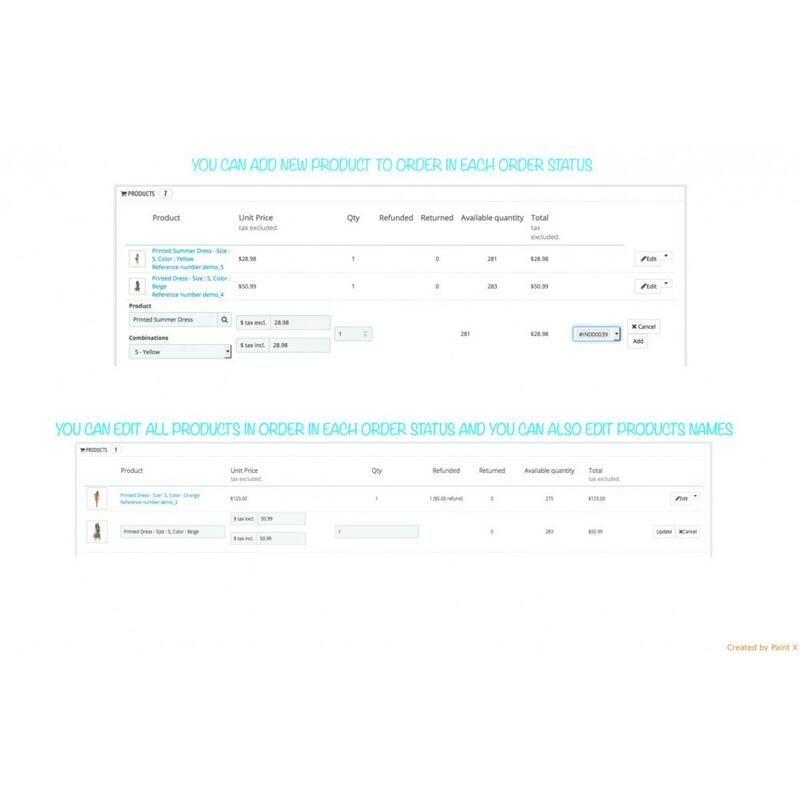 The Module supports multistore. 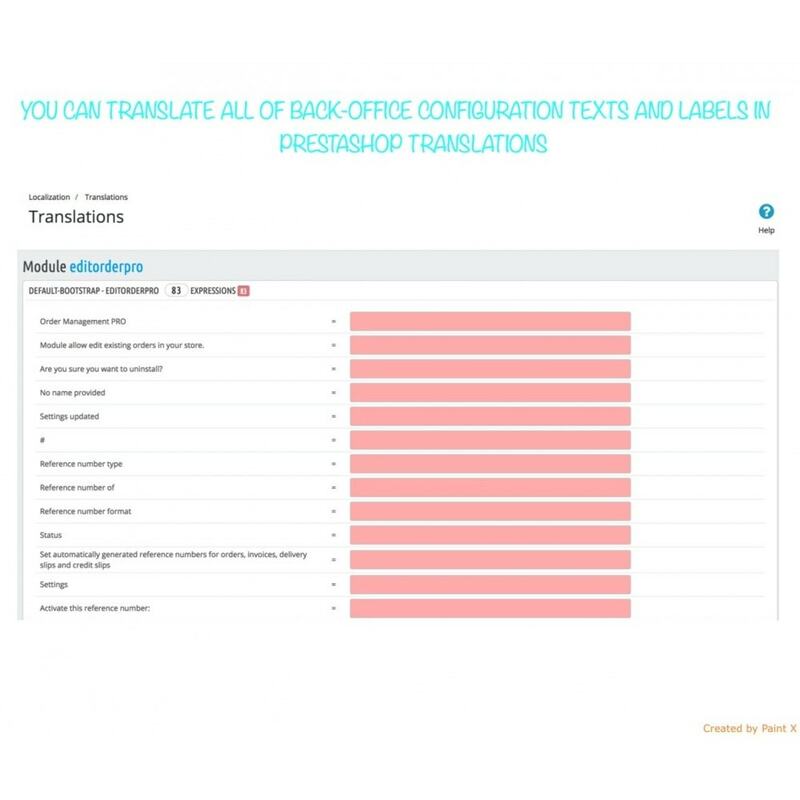 You can create your own reference numbers format for each shop separately. Everything about this module and how it works, you can see in the video and screenshots. 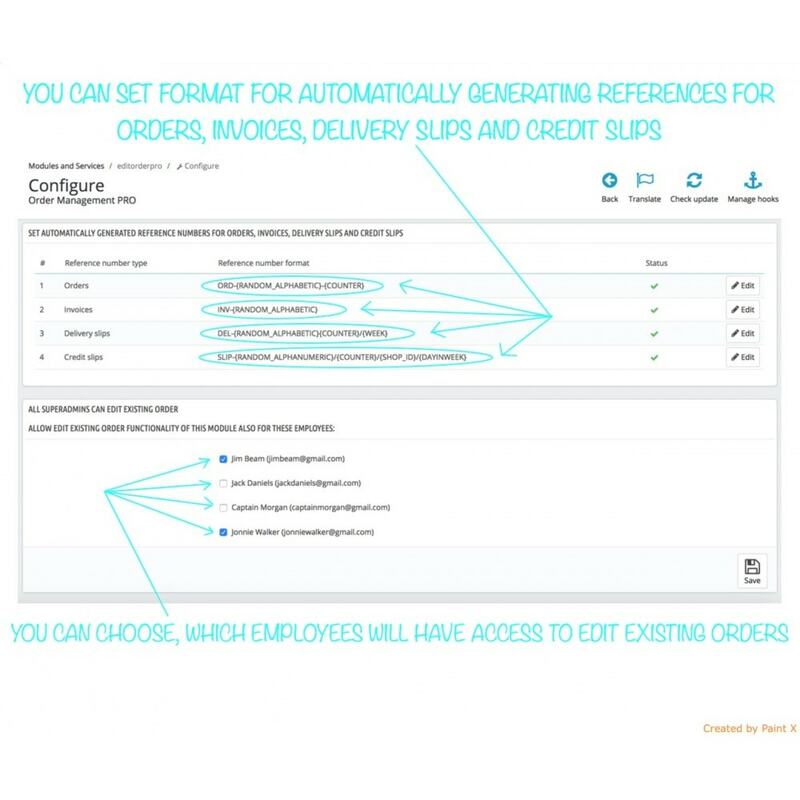 In configuration of this module, you can also set, which employees will have access to use functionality of this module for edit orders. 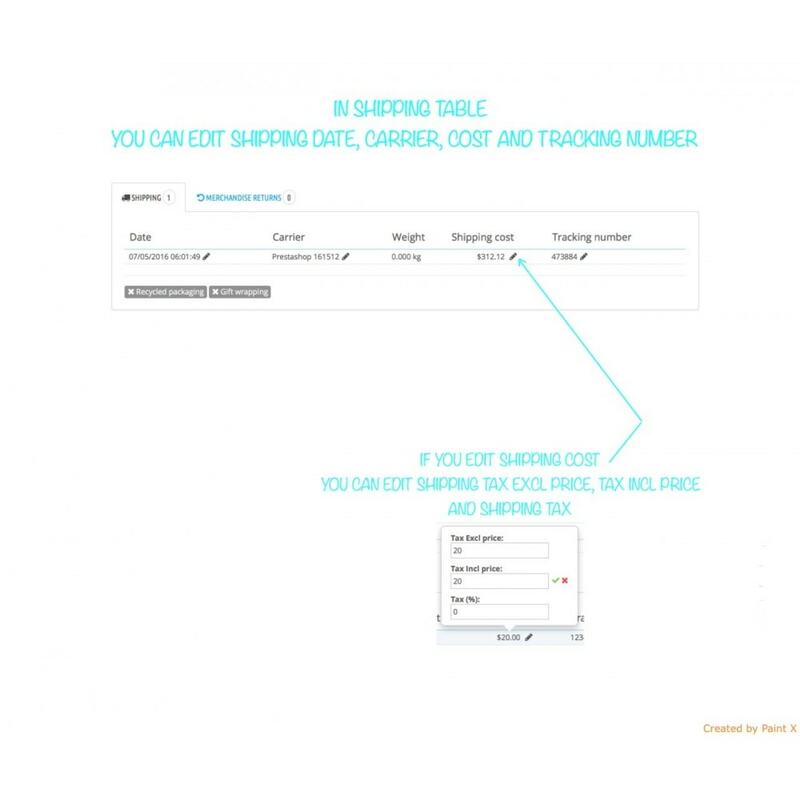 For automatically generating numbers for orders and other documents this module integrate many feature options(tags) to create your own format of custom reference numbers. The format for generated reference number can be for example INV-/, which generate reference like INV-20/15, where tag is replaced for actual order ID and tag is replaced for actual year in shortcut version. Description for all these tag use can find in module configuration in “DESCRIPTION OF THE AVAILABLE TAGS” table.